​A dominant Barcelona met little resistance from Manchester United as they eased to a comfortable 3-0 victory at Camp Nou. It looked like ​United’s hopes of a dramatic win had been dashed as Barcelona were awarded a penalty after ten minutes following ​Fred’s challenge on​ Ivan Rakitic, but the Video Assistant Referee came to save the day, and the referee ultimately overruled the decision. However, just minutes later, ​Lionel Messi got his revenge. The Argentine shimmied away from United’s defenders before sending a low effort crashing past ​David de Gea and into the back of the United goal. 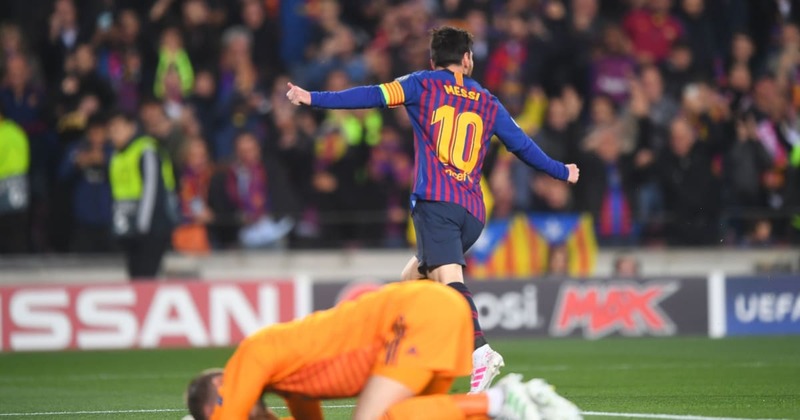 ​​If the first goal was thanks to Messi’s skill, the second was the exact opposite. A tame effort from distance somehow found a way under De Gea, who certainly should have been able to keep it out. Mission Impossible just became a whole lot harder. ​​There was nothing De Gea could have done about Barcelona’s third, as Philippe Coutinho unleashed a sublime curling effort from range which flew into the back of the net. Ultimately, Barcelona were more than good value for their victory, and they can now turn their attention to the semi-final for the first time in four seasons, where they will face either Porto or (most likely) ​Liverpool.